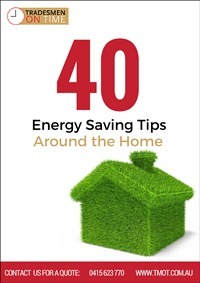 40 Energy Saving Tips - Free Download - North Brisbane Electricians - We turn up on time! Want to reduce electricity costs around your home? Discover how to save energy with these 40 easy and low-cost strategies. These tips are simple, quick and save you heaps!